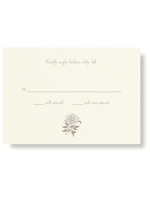 A fine line border letterpress card with Rose motif on soft textured somerset paper. 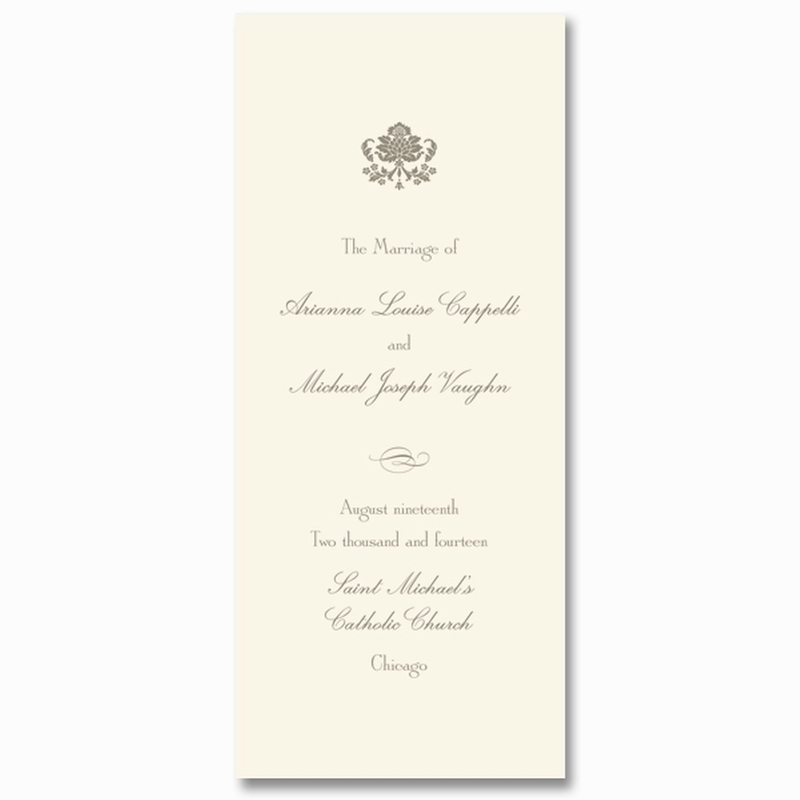 A beautiful simple design, elegant and romantic. 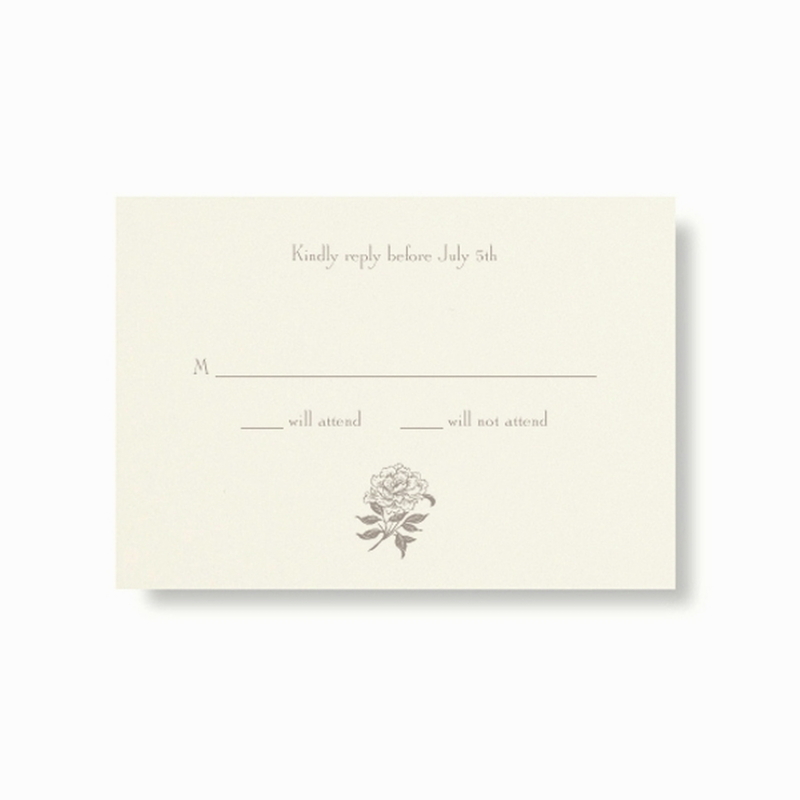 The border, wording and floral design element used on this card letter-pressed in taupe ink colour, produces a simple yet beautifully elegant result. 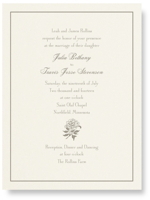 As always the texture of the letterpress paper is rich and beautiful to touch. 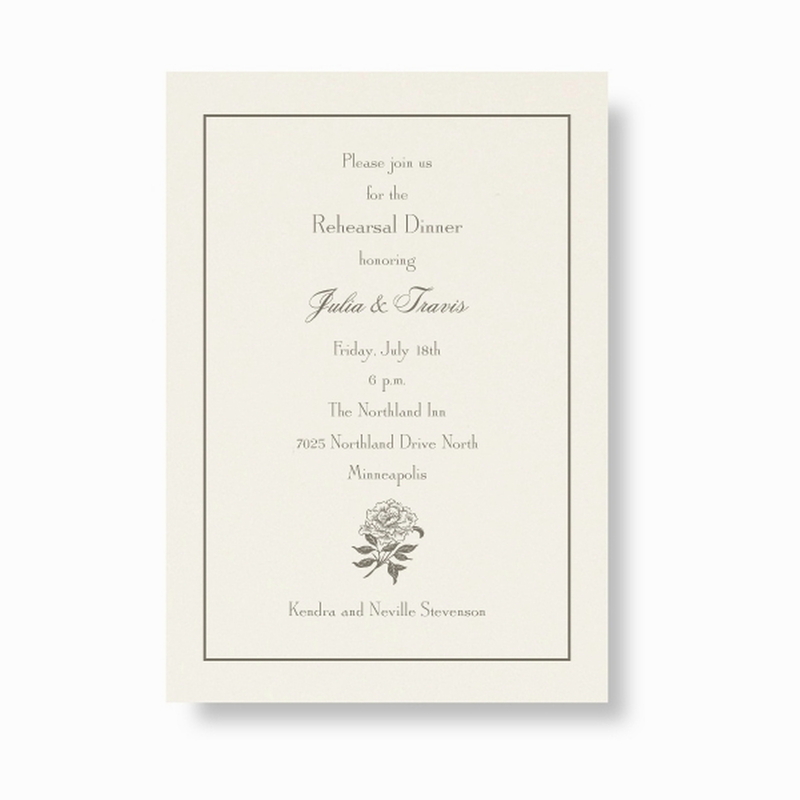 There is a perfectly matched taupe and ecru floral envelope lining shown in our studio album which is worth taking a look at. 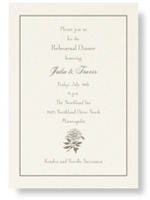 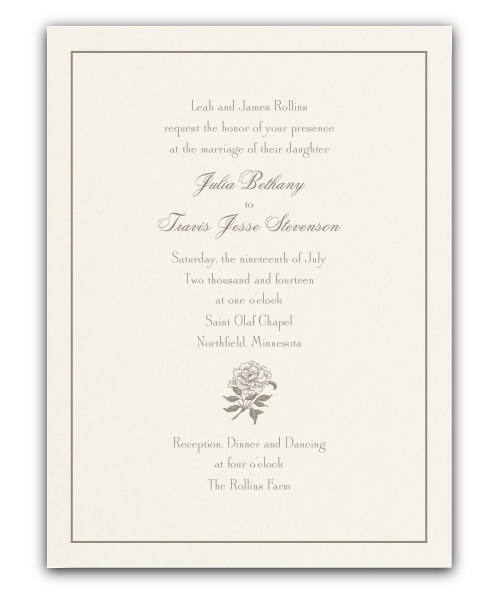 All ink colours, fonts and envelope linings can be chosen to suit your particular style. 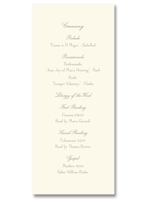 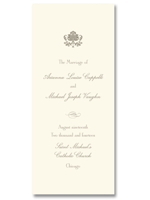 Reply, information, thank you and place cards are available to match this invitation. 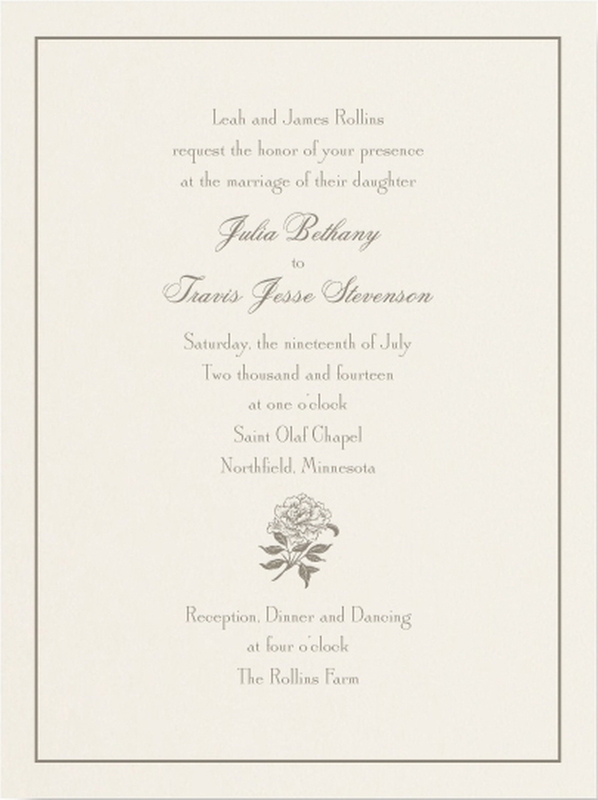 This invitation, printed in a single ink colour, using letterpress print as shown, including envelope, is available from €493 for a wedding of around 90 to 100 guests. 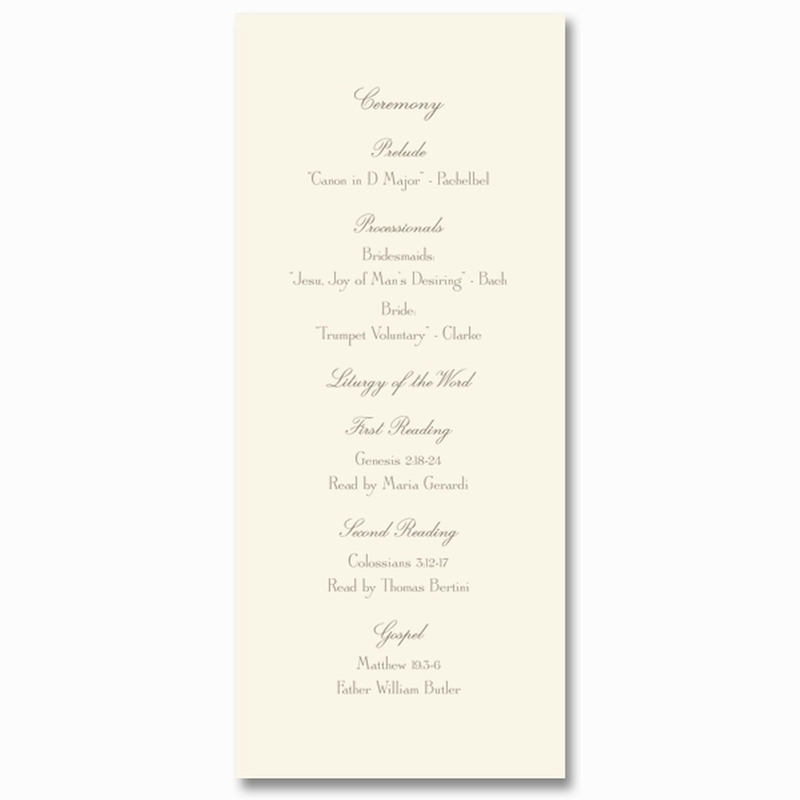 For a wedding of around 100 to 150 guests the price would be €555.